Important one-stop-shop information on all your travel destinations. 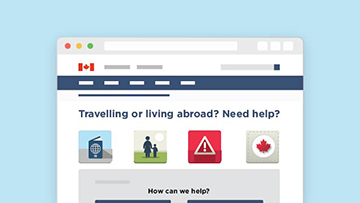 Information on travel health and safety, air travel, border wait times and more. How to get help if there is an emergency when you are travelling abroad. Export your products and services abroad, permits and restrictions, tariffs and more. Import goods or services to Canada and learn about programs that can help reduce duties. Supporting human dignity by helping countries facing natural disasters, conflict or acute food insecurity. Canada’s work toward a safer world amid complex challenges. Discover funding opportunities for Canadian and international partners that work to reduce poverty in developing countries. 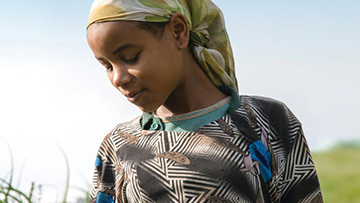 Our work to promote gender equality and empower women and girls in all our international assistance. Search through Canada’s international assistance projects database with our interactive tool. Canada is adopting a feminist international assistance policy to advance gender equality and the empowerment of women and girls. 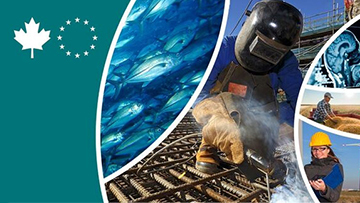 The Canada-European Union Comprehensive Economic and Trade Agreement is a progressive trade agreement that upholds and promotes the values that Canada shares with the EU.